Jul. 18, 2018 1:30 p.m. 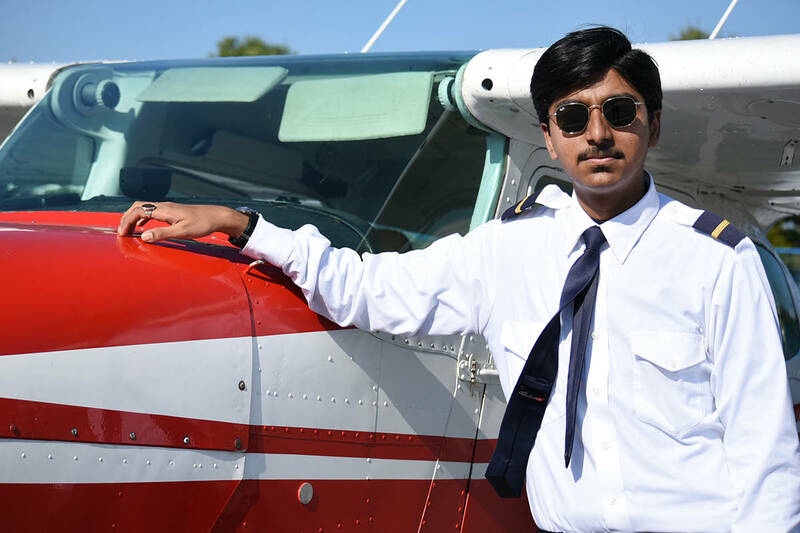 He isn’t old enough to drive a car, to vote or to drink alcohol, but Mohd Shaikhsorab could soon be named the world’s youngest pilot to fly solo. The 14-year-old, who is training to become a pilot at Langley Regional Airport, believes he set the Guinness World Record for youngest pilot to fly solo after having accumulated the least number of flying hours. On July 19, Shaikhsorab completed his first independent flight with only 16.4 hours of flying time under his belt. Guinness World Records confirmed that Shaikhsorab has submitted an application, and it is under review by their records management team. There is no current record holder with this title, a spokesperson said. “It feels out of the world right now,” Shaikhsorab said moments after completing the flight. Shaikhsorab, who is from Orange County, Calif., came to Langley to earn his student pilot permit earlier this year in order to fast track the process. In the United States, student pilots must be at least 16 years of age, but in Canada the age requirement is 14. He became obsessed with flying after enrolling in an aviation program at Cypress College in California last year. He was one of the first students to earn a 5.0 GPA at the school, prompting his parents to send him to Canada to continue his education, he said. “It’s very fascinating and it’s a very cool thing that you know how to fly an airplane,” Shaikhsorab said. Shaikhsorab planned to attempt the world record on July 17, but after flying a circuit a few times with an instructor from SkyQuest Aviation, was not ready to do his first solo flight. “It was quite windy up there, a lot of crosswind, you know,” he said on Tuesday. The weather wasn’t much better today, with lots of low cloud cover, but Shaikhsorab was still able to take to the skies. He said it was the extra practising he did over the last two days that made the difference. “After what happened that day, it was kind of disappointing. That day I couldn’t make the solo, but fortunately, I worked hard the past two days,” he said. 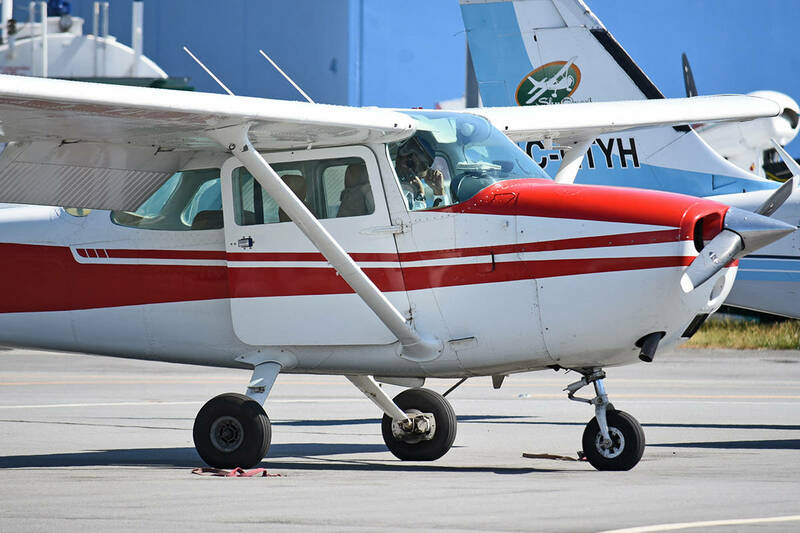 SkyQuest is one of about half a dozen flying schools that operate out of the Langley airport. The school has hundreds of students, many of whom are international, to help fill the demand for pilots. According to Transport Canada, the demand for pilots in Canada is already high, and is projected to grow in the next 10 years as many pilots retire. To become a pilot, students must first complete classroom work and take a ‘PSTAR’ exam to earn a student pilot permit, explained Saar Kaufmann, a flight instructor at SkyQuest. More training and experience are required to earn a commercial pilot licence. In Canada, students must be at least 14 years old to obtain a student permit, 16 years old for a recreational pilot permit, 17 years old for a private pilot licence and 18 years old for a commercial pilot licence.